Plumbing Emergency in West Hollywood provided by Richards Rooter And Plumbing 24hr a day. Emergency Plumbing Services in Los Angeles, 24 hours Plumbing Emergency Services. Sewer and Drain Cleaning in West Hollywood. 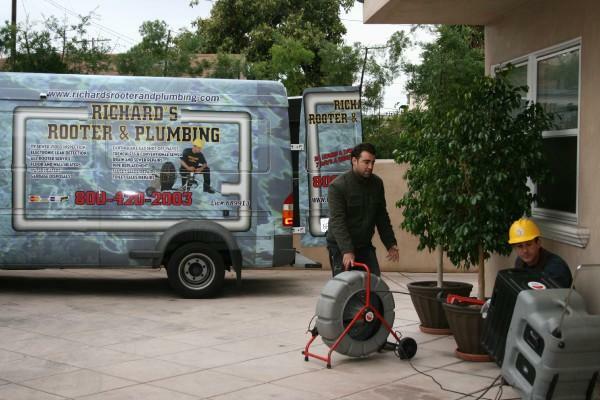 At Richards Rooter and Plumbing we offer fast and affordable Plumbing repairs, Sewer Cleaning, Drain Cleaning, Water Heater repair,Tankless Water Heater repair, Sewer Video Inspection and Locating, Sewer and Drain Locating and repair Services since 1994. If your drains are clogged and you need help fast, all you need to do is call us for help. Most drains have a clean-out which is an access point for snaking and clearing the sewer or drain line. Clogged drains, sewers and plumbing problems can bring your home to a halt. That’s why we offer 24hr plumbers on call for Gas leaks, Plumbing repairs, Sewer Cleaning, Drain Cleaning, Water Heater repair, Tankless Water Heater repair, Sewer Video Inspection and Sewer Locating, Sewer and Drain Locating and repair. We offer Sewer and Drain Cleaning services 24 hours a day. Yes we can clear that Saturday or Sunday backup or stoppage so you don't have to miss out on relaxing during the weekend. Stoppage must be fixable by cabling method first. With over 24 years of experience Richards Rooter And Plumbing is a trusted Plumbing Company for Plumbing repairs, Sewer Cleaning, Drain Cleaning, Water Heater repair, Tankless Water Heater repair, Sewer Video Inspection and Locating, Sewer and Drain Locating and repair. When drains get clogged, Richards Rooter And Plumbing provides fast, dependable, reliable service to get your drains flowing freely so you can get back to business. We accept Visa, MasterCard, Discover & American Express Credit Cards. Drinking pure water is very important for your health, especially if you have poisons in your water like we do. For example; sodium fluoride, arsenic, chlorine, lead, Mercury, aluminum, magnesium and so on. The list goes on. All filtered water is not the same. Most filters are only sediment filters that filter out solids but cannot filter out the "TDS" total dissolved solids which is completely different from solids. On average tap water has a total dissolved solids averaging from 300 to 400 parts per million. The average filter in the common household brings down the total dissolved solids between 295 to 395. This is not acceptable. The EPA also known as the Environmental Protection Agency states that water with the total dissolved solids greater than 10 is considered contaminated. They state that water with the total dissolved solids less than 10 is considered pure water. The only water filtration system that works best is the reverse osmosis filtration system. Reverse osmosis can bring down the total dissolved solids on average about 10 to 20 parts per million. This water can be pumped into a distillation machine which will bring down the total dissolved solids to 000. The cleanest water to drink would be distilled water which has a total dissolved solids of 000. Distilled water can be modified by changing its pH balance buy pumpkin it through a Kangen machine. This water is fit for a king and queen. Lot of people ask, what about the minerals? Our body's do need minerals, right? The answer is "yes". But there's a big difference between the minerals in your water supply and the minerals your body needs. The minerals in tap water are leached in from the Earth form rocks, stones and such. These are called non organic minerals that plants use to thrive and grow. The plants turn the "non-organic minerals" into "organic minerals" that we need as humans to live and thrive. Always remember this, organic minerals come from living things like plants fruits and vegetables including Meats. My father always told me don't eat red meat. Vegetarian diet is the best. Use coconut oil that contains "MCT" medium chain triglycerides. Don't use toothpaste that contains fluoride. 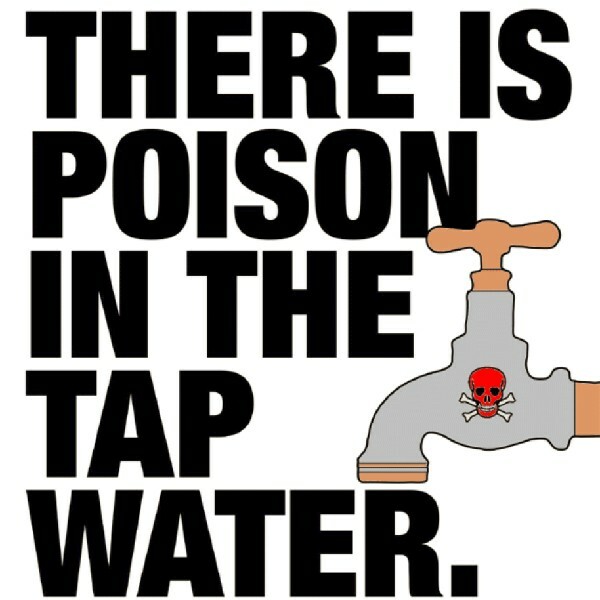 Don't drink tap water. Brush your teeth with baking soda but I chose to use Tom's toothpaste that has no fluoride. My dad still has all his teeth and he's 90 years old. My dad was a Medic during the World War II. He has Doctored me with his intellect and wisdom. Fluoridation is designed to treat a disease (dental caries) but has never been approved by the US Food and Drug Administration (FDA); the FDA classifies fluoride as an "unapproved drug"
But what they failed to mention is that tooth decay rates "precipitously declined" in ALL Western nations, regardless of whether or not fluoridation was used – and most of those countries did NOT fluoridate!8 According to World Health Organization (WHO) data, the US, which fluoridates about two-thirds of public water supplies, actually has higher rates of tooth decay than many countries that do not fluoridate their water, including Denmark, the Netherlands, Belgium, and Sweden.9Furthermore, if fluoride were effective in preventing caries, you would expect to see an increase in tooth decay when fluoridation is stopped. Yet, this is not what we see! The following demographic studies and fluoridation trends make it clear that fluoridation has very little to do with whether or not you develop cavities. Fluoride may be damaging your brain. Call 1 (310) 853-5200 for an appointment. Richards Rooter And Plumbing, a plumbing contractor is a commercial and residential emergency plumbing services provider. Offering a broad range of non-emergency and emergency plumbing, gas leak detection, sewer video inspection, water heater repair, sewer cleaning and drain cleaning services. You will be glad you came across Richards Rooter And Plumbing. It's about making your experience with your plumbing needs, a relaxing one. We work with your schedule, your home or business, and your needs. The person we want to see happy with our work is you. When you want plumbing and drain cleaning service, you want someone to go that extra yard. You can count on Richards Rooter And Plumbing. Nothing is more important than your Plumbing and your health. Richard’s Rooter and Plumbing is dedicated to keeping your Plumbing safe, clean and up to code. Along with our service level and peace of mind, you can be sure that your experience will be one of professionalism, attention to detail, and TLC. Clogged drains, sewers and plumbing problems can bring your home to a halt. That’s why we offer plumbers, drain cleaning, plumbing emergency services and maintenance 24/7 365 days a year.